One brick at a time, he built a business. Ralph E. Tolbert founded his own masonry company in 1960. A business built on knowledge, pride and a true sense of workmanship was to be the foundation of the business as it continued to grow and prosper through the years. Currently the business is being managed by the second generation, President Kurt Tolbert. Daily operations out in the field are overseen by third generation Justin Tolbert. 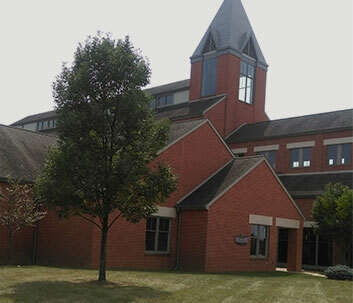 When the St. Paul United Methodist Church in Chambersburg was bid and won in 1997 it was the largest commercial project Ralph had ever pursued to date, and it was completed with great success. During his daily progress monitoring of the work, Ralph concluded that they were quite capable of keeping up in a commercial market. From that day on, no job too big or too small has been the mantra of Ralph E. Tolbert Masonry. Today, there are more than 50 employees out in the field, with a busy support staff in the office to keep up with the bidding, billing, and accounting aspects of the day to day operations. Every employee has a great sense of pride in working for a company that treats their employees as family. This pride shows in the workmanship, job cleanliness, and camaraderie amongst the employees. We are the team you are looking for to handle your masonry project in brick, block, or stone, in restorations, or restoration cleaning. Licensed in PA, MD, and WV, we are committed to providing the best service you will find in the Susquehanna Valley. Three generations of masons, endless foundations. A family owned and operated company rooted deep in quality and excellence, Ralph E. Tolbert Masonry began in the ‘60s with a mission to reach people and give them the beginning of their own history. Valuing a building’s integrity so whether it’s restoring an architectural structure or constructing a new one, they carefully lay each brick, block and stone with care. As their company has grown over three generations, they welcome employees and customers with welcoming arms, treating all like family. A trusted staple in residential, commercial and industrial communities, they guarantee that when a job is done, it is done. A brick layer since the 1950’s, Ralph E. Tolbert began his career working for a company that built house foundations. Giving families a solid foundation was a fulfilling occupation, but Ralph saw an opportunity to start his own company. In 1960 Ralph resigned from his position and pursued his own company. The rest is history. Growing up in the family business, Kurt Tolbert began working alongside the other laborers in 1982. Over the years he learned how to lay brick and block, was promoted to Lift Operator, Foreman and Project Manager. Currently he serves as Vice President and Project Manager. Over the past 33 years and multiple generations of working with his family his passion is the same: Doing a great job for clients and seeing they are pleased with the work and price when it is complete. When he isn’t working, Kurt enjoys socializing with friends and spending time outdoors golfing and hunting. Working as a laborer during 2003, Justin Tolbert began spending his summers at Ralph E. Tolbert Masonry. During his school breaks in the family business, he soon realized his place was following the footsteps of his father and grandfather. Working his way up from laborer to Mason, then Foreman, Justin now helps run the crews as Project Manager. Efficiently overseeing the details and workers to ensure all projects are operating as planned, he plays a vital role in day-to-day and big picture projects. Attracted to the close-knit family culture ambiance of Ralph E. Tolbert Masonry, Sandy Hoch began working alongside them in 2009 as their Office Manager. Having been used to working in a corporate environment where before everyone was treated as a number versus a name, she found it refreshing to treat customers and employees alike as family. Sandy finds the greatest satisfaction when Tolbert clients are satisfied during and at the end of a project. Ensuring they always hear a pleasant voice when talking to her, she hopes to always be able to answer any question or need you may have. Thank you for your masonry services over the past several years. Your presence on these jobs is very well recieved by our other construction tradesmen and your crew members work well within the Sheetz culture. They understand that customers come first and safety, quality and quantity are important but second in line when it comes to our total customer focus initiative. I would like to take this opportunity to thank Ralph E. Tolbert Masonry for their outstanding work and cooperation that was provided at the recently completed United Methodist Church in McConnellsburg, PA. The project was very difficult as that site was extremely tight and the majority of the work was done during the winter months.